After a six year musical hiatus, Justin Timberlake‘s brand new single, “Suit & Tie,” debuted today at 12 a.m. to delighted fans everywhere. Produced by Timbaland and featuring Jay Z, it’s sure to be a huge hit! Of course Stitely‘s very own salesperson Paige was one of the first to download the new single and shared it with us today. Justin’s new album, “The 20/20 Experience,” will be released later in 2013. Enjoy! Hang up those stockings by the chimney. Break out the hot cocoa and smother the ones you love with presents and warm fuzzies. One of the best things about being home for the holidays is being able to watch all those classic yuletide films, so here are a few of our favorites that we fa la la la love to watch around this time of year. “I just like to smile, smiling is my favorite!” Honestly how could you not love a movie that features Will Ferrell in bright yellow tights and a green coat trying to be a 6’3″ elf in New York City. The Jaded New Yorkers mixed with Buddy the Elf’s hyper personality always leaves us with a grin just thinking about it. Ok, this is more a guilty pleasure than it is a fantastic holiday movie. There’s just something that gets to me when I see Arnold Schwarzenegger fighting for an action figure on Christmas eve. 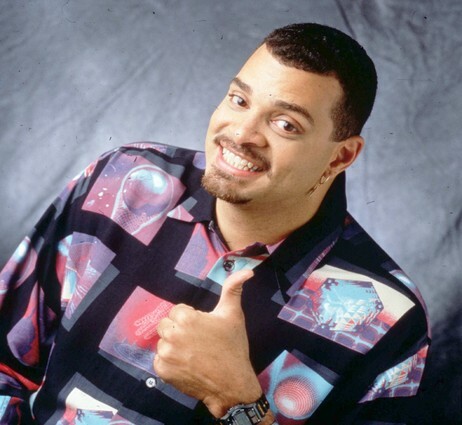 Also Sinbad is in this movie! Nothing gets better that JINGLE ALL THE WAY with these two. It’s hard to miss this movie since TBS has made it their holiday tradition to show it for a solid 24 hours on Christmas day. But we aren’t complaining. Between you, me, the B.B. gun, and the leg lamp, I could literally watch this for 24 hours and still laugh every time Ralphie and his brother visit Santa at the mall. Ho Ho…Ho. It just wouldn’t be Christmas without at least one of those claymation movies from the ’70s. This one in particular sticks out in my mind because it wanders a bit too far into the realm of weird holiday movies. Santa gets a cold and takes a break from Christmas, so we end up with two weather brothers, Snow Miser and Heat Miser, who just won’t get along to let it snow in a southern town in the United States. It’s kind of complicated, but a classic nonetheless. Heck, Snow Miser’s song was even sung by Arnold Schwarzenegger when he played Mr. 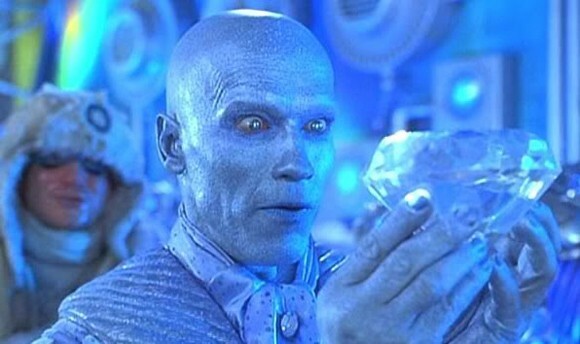 Freeze in the wonderfully terrible Batman & Robin. Check out the Miser’s intro songs. The season wouldn’t be complete until someone screams “Kevin!” at the top of her lungs in my household. We don’t have any relatives named Kevin, but this kid, “what the french call les incompetents,” and his holiday antics have been a tradition for as long as I can remember. It celebrates clever catch phrases, independence, family you can’t stand but still love, burglars and the incredible cleaning skills of a ten year old boy. Seriously, how did Kevin manage to set up all those traps by himself and then cover them all up in one day? A classic with a twist, this is one of the best versions of A Christmas Carol. Personally we love how The Muppets interpreted the story of Scrooge (an amazing Michael Caine) and his humbug Christmas ways. It’s narrated by Gonzo as Charles Dickens and includes some of our favorite Muppets playing the classic characters, like Kermit and Robin the Frog as Bob Cratchit & Tiny Tim, and the two old guys as Jacob (and Robert) Marley. (Fun fact: did you know their names are Statler and Waldorf?) And don’t even get us started on the amazing singing! This film has become a yuletide national treasure, and is counted among many people’s favorite films ever. Its moral is classic; you may not be wealthy or reach your original dreams, but you will never be a failure when you look at the friends and people whose lives you have touched. Enjoy the little things, love the people you’ve met and good things will come of it. Out of all the other holiday films I feel like this one really lets you think about the true value of the holidays. And you just can’t you resist James Stewart; that voice is amazing. On that note, everyone at Stitely wishes you Happy Holidays and a great New Year! Take some time to enjoy the ones you love and maybe catch a few of these movies. We know we will. official opinions: Happy Haitian Holidays! On Saturday December 8 my choir (“Chicago’s choir”), the Wicker Park Choral Singers, debuted our holiday concert, It Takes A Village. While the whole program was filled with fantastic music, two of my favorite songs to sing were by Haitian composers. Written in Creole, these songs incorporated a number of percussive elements derived from the sounds of traditional Haitian instruments, syncopated rhythms, and A LOT of multicultural flair. Here’s a nice write-up from OurUrbanTimes.com about Saturday’s performance and click here for program notes to give you more info about the pieces. Check out the concert recordings below and enjoy!